The medical journal at the centre of a row over controversial MMR research says it should not have published the original paper. BBC News Online examines the long-running debate over the safety of the three-in-one jab and this latest twist. MMR is a combined vaccine against measles, mumps and rubella, three common infectious diseases of childhood. It was introduced in the UK in 1988 to replace single vaccines for each disease. It is used in countries throughout the world, with millions of doses delivered each year. Why are people worried about it? In 1998, a study published in the respected journal The Lancet suggested the jab may be linked to autism and bowel disease. The paper and the media furore that followed it prompted many parents to decide against having their children vaccinated with the three-in-one jab. Some opted to have their children vaccinated using single vaccines for each disease. However, others decided against having their children vaccinated against these diseases at all. Mumps, measles and rubella are all serious diseases. Many doctors are concerned that a drop in vaccination levels could leave many children at risk. Measles is a potentially disabling or even lethal disease, mumps can cause miscarriage, and rubella devastating defects in unborn children. The scare over MMR has been partly driven by the fact that some parents of autistic children recall that the symptoms of their child's disorder emerged shortly after being given the first MMR jab at approximately 14 months. Autism experts say that many cases of the disorder do emerge at this age - so it is unsurprising that in some cases, the timing of the two events appears connected. Statistical analysis published recently found that a drop of only a few percent in the proportion of children immunised in an area could mean the difference from small pockets of infection to endemic disease affecting many thousands. While nationally, four out of five children get MMR, in some areas, such as parts of London, approximately 60% or less receive the jab. The UK government and the vast majority of scientists insist that the three-in-one jab is safe. No research has been published to back up claims that it may be linked to autism and bowel disease. There have been many studies examining the safety of MMR since 1998. All have concluded that the three-in-one jab is safe. The Lancet, which published the controversial MMR paper in the first place, now says it should not have printed it. It says the study was flawed and that Dr Andrew Wakefield, the lead author, had a serious conflict of interest. It has emerged that Dr Wakefield was carrying out a second study around this time. He was funded to see if there was any evidence to support possible legal action by a group of parents who claimed their children were damaged by the vaccine. Some children were involved in both studies. Dr Wakefield denies receiving any direct payment, and said funds were given instead to the hospital at which he worked, London's Royal Free. However, the Lancet says it was not informed of either of these things. Richard Horton, the journal's editor, says if it had known "it would have rejected" the paper. Dr Wakefield insists he has done nothing wrong and that the science behind his study is still valid. This latest twist in the MMR debate has led to calls for an inquiry into the controversial research. Health Secretary John Reid has called on the General Medical Council to investigate the matter. A spokeswoman for the GMC says it will examine "what action, if any, may be necessary". Dr Wakefield has welcomed the proposed investigation, saying it will give him a chance to clear his name. However, supporters of Dr Wakefield insist his study is still valid. What advice is being given to parents? This latest controversy over MMR will undoubtedly add to the confusion of many parents. 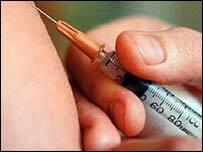 Sir Liam Donaldson, the government's chief medical officer, insists the three-in-one vaccine is safe. "It's a vaccine that has been used around the world very extensively. It has an excellent safety profile and it has saved millions of children's lives and it is a way parents can protect their children." Your views: Is MMR safe?